"This angelic connection is for you to see, the knowledge inside is the key." Georgina Gibson. Experience a transformation and connection with your own sacred spirit. Negative mental habits will be released leading you into a complete rebirth in all areas of your life. Open ;yourself and experience the higher realms of existence and a state of wholeness in your being. Allow your physical world to become a reflection of your true self. Find your place in creation as your divine life purpose naturally aligns you with the conscious evolution and the larger patterns of global movement and change. Georgina Gibson was born in the small city of Weyburn, Saskatchewan, Canada on October 2nd 1976. She presently resides in Mission, BC, Canada with her husband and son. 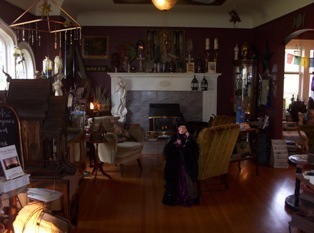 Georgina is the founder of The House of Avalon Metaphysical School and Bookshop in Mission. She dedicates her time teaching and helping others to find their true potential. She has the gift of elevating people's thoughts to a clear simple perspective therefore making their own spiritual growth an exciting, simple and natural process. Georgina's spiritual dedication is helping others embrace their own natural ability to see and communicate with the Divine. Georgina has successfully taught thousands of individuals of all reaces, religions and ages to open their mental, physical and spiritual realms by honouring their individual unique path and connection withthe Divine. Georgina has recieved physical certifications, such as Certified Spiritual Healer, Certified Earth Stewert, Certified Ordained Minister, Reiki Master, and many more. Though Georgina has written work for holistic publications, she says that "The book of Divine Mastery is an essence of all it's own. It's a tool that has been created to guide each person on their own unique path. You can find this published work at The House of Avalon as well as most bookstores. It is currently for sale in over 550 places around the world and growing.